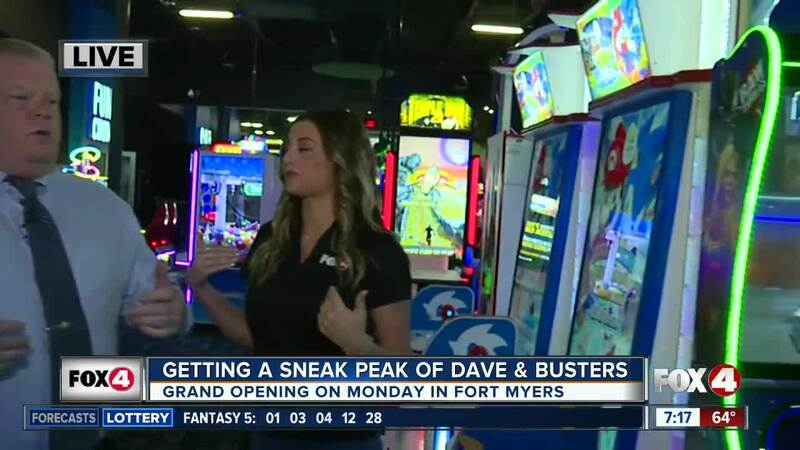 We are just a few days away from the grand opening of Dave &amp; Busters at the Bell Tower Shops in Fort Myers, and 4 In Your Corner wanted to give you a sneak peek of all the family fun. 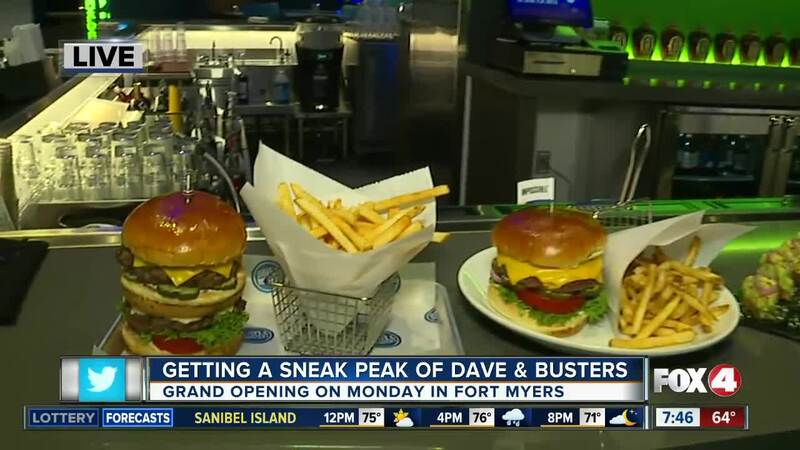 FORT MYERS, Fla. — We are just a few days away from the grand opening of Dave & Busters at the Bell Tower Shops in Fort Myers, and 4 In Your Corner wanted to give you a sneak peek of all the family fun. The restaurant features hundreds of games, a high end menu and a sports bar filled with HGTV's. Dave & Busters opens to the public on Monday, April 8th. For more details, click here . Dave & Buster’s operates 112 restaurant/entertainment complexes throughout North America, including six locations in Florida: Brandon, Hollywood, Jacksonville, Miami, Orlando and Panama City Beach.